CAR identifies the challenges that auto repair businesses face. As the auto industry moves on into the modern age, repair centers all around the country are experiencing pressure with the tech world and our world colliding. We are all trailing nationwide franchises and dealerships that have endless resources working at their disposal. For most smaller auto repair businesses there isn’t enough time, money, or energy to attempt to constantly and actively secure the new business. We’re mostly worried about attempting to maintain the existing business we have, which has newer cars and increasing demands. Most of our time is now spent adjusting to the learning curve of advanced vehicle systems. However, that’s just a shop problem. The front office of your shop has its own issues to contend with that didn’t exist 15 years ago. Make no mistake about it, our industry is in the middle of a revolution and with 3D printing knocking at the door… the amount of balls to juggle are going to be considerable and it's all just getting started. CAR can’t help you find a good location, but what we do is unique in its approach. We take elements that are a part of the tech world and bring them to your fingertips. For instance, with CAR you can create employee profiles, so each of your employees can login to the system and track their work within each vehicle they touch. This helps you keep track of employee productivity and gives you the tools to make informed decisions about each employee, allowing you to reward them as they grow with your business in real time. Can be expensive and very confusing. The best method to start is to get your feet wet with small budgets that keep your name in front of your potential customers, constantly. Providing an environment where employees know they can grow with your business, whether financially or moving up within the organization, is the key to keeping and securing talent. Keeping your employees as interested in your success as you are is critical to the elements that keep people returning and employees from leaving. Securing a proper location and the authorization to conduct business there over the long term ensures survival. This is the most complicated element in today’s world. It involves a mix of a strong web presence, good advertising ethics, social media profile, and following up with customers. Without good software, it is difficult to run any business. Good software is and always has been subjective. Our experiences indicate that good software saves you time and builds trust with your customers. Most importantly, it should work for you and not against you. 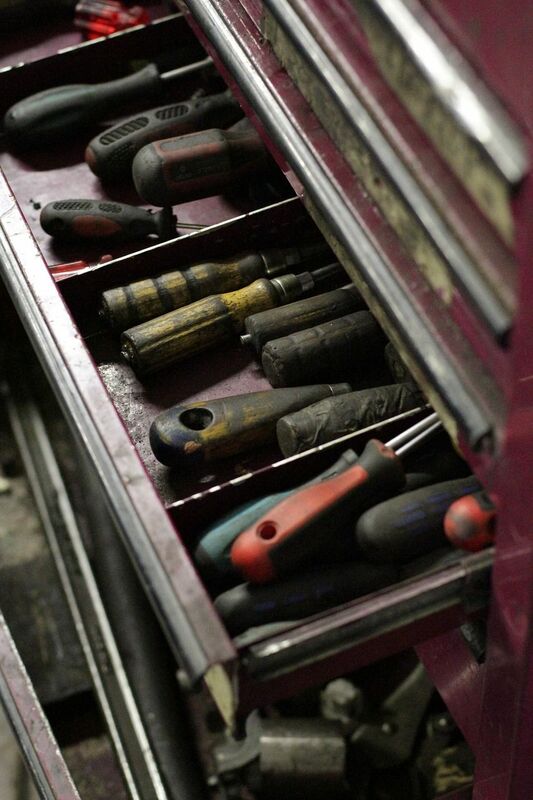 Without the proper tools, we just can’t work on today’s vehicles. Without the proper training, we put ourselves and our customers at high risk. CAR's proprietary tracking system also ensures you are billing customers appropriately, which leads to higher revenue and a happy employee who’s being rewarded for his good work. So, CAR can help you check Employee Engagement and Employee Advancement off that checklist. Being appreciated in your work place is best method to retaining talent, second only to paying your employees appropriately for their work. The most important thing to take away from all of this is that our tracking system works without your intervention. It’s the backbone of the entire process within CAR. That’s what makes us different, our intuitive process makes everyone at your organization from the employee to the customer… feel like they are the most important thing going on at the moment. We do that by integrating each process into the business. It’s also worth noting that you can completely opt out of the process of employee tracking, the choice is up to you. No other software in this industry presently accomplishes this. In part 2, 3, and 4 of this article, we will discuss the Marketing, Advertising and Software on that list. CAR has a unique process that markets on your behalf as the customer is at your facility and we are working on the incorporating outside elements to enhance this. Why a 4 part article? In order to provide actual value that you can use at your business the remaining topics need to be discussed with actions you can take to start using today to adapt to the landscape. CAR isn't the answer to it all, but our experience has a lot of the answers to help you along the journey.